A new flagship smartphone is being prepared to launch soon by OnePlus, and it is no secret that it is called the OnePlus 6T. As most of you know, it is an upgraded version of the premium, yet affordable OnePlus 6 and it will sport several cosmetic changes. This particular handset has been confirmed by the company to launch before October ends. We have experienced several teasers coming from no other place than the company itself, which also led us to find out that the flagship is going to be the first one from the manufacturer to omit the 3.5mm audio jack. Below are the details we know about the OnePlus 6T thanks to all the latest leaks and rumors including the release date. The launch has been set to October 30 and will be released at an event in New York. The model is expected to come with a tiny display notch also called the ‘waterdrop’ notch that has been discussed quite a lot. 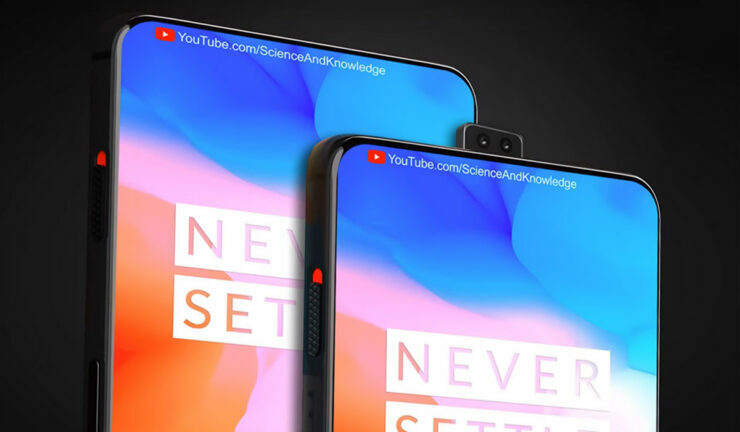 Image leaks of the OnePlus 6T prove it to be true, giving the smartphone an increased screen-to-body ratio. The notch is going to be quite small compared to the one that ships with the OnePlus 6. The smartphone will also sport an in-display fingerprint sensor that could be related to the event name ‘Unlock the Speed’ but we should know better than this; it is due to the powerful specifications present in the flagship. OnePlus offering an in-display fingerprint scanner makes it the latest company to dive into this segment, following along companies like Vivo, Xiaomi and Huawei. Your finger is required to be placed on a specific part of the screen to unlock but if that is not your cup of tea, the Face Unlock feature will be available as an alternative. The event takes off at 11 AM local time in New York City and we have yet to discover what this company has up its sleeves. The OnePlus 6T has been rumored to carry a $50 price higher than the base version of the OnePlus 6, but we’ll keep you updated on the latest. If you haven’t yet upgraded to the OnePlus 6, do you think the OnePlus 6T will be your next daily driver? Tell us down in the comments.